If you’ve been looking for a color printer but can’t afford the cost of a laser printer, look no future, this machine could just be the answer to your prayers. The HP Officejet Pro 8500 wireless all in one printer can print, scan, fax, copy in record time and does it all with high quality results and a price tag you can live with. But wait there’s more, it has autoduplexing, 802.11 b/g, a 3.45 inch touch screen, 50 sheet automatic document feeder, and a legal-size scanner. You can get one of these for about $399.00, that may seem high to some but when you compare that price to a color laser and the supplies cost this baby is a winner. One of the ongoing problems with the inkjet cartridge is that if it is not used enough the ink that is left inside each of the microscopic nozzles in the print head drys up. OK, lets back up a bit for a quick lesson on print heads. On all inkjet printers what actually drops the ink onto the paper is what is called a print head. There are print head cartridges which has the print head attached to the print cartridge and non-print head cartridges where the print head is not part of the cartridge but is housed inside the printer. (A) Is the electronics where the information from the PC is sent to the print cartridge and tells the print head (B) how much ink and what color ink in color cartridge to fire out of each nozzle. There can be any where from 600 to upwards of 1200 of these microscopic nozzles on a print head. Here is a sample of a non-print head cartridge, there is no print head on these types of inkjet cartridges, they are basically a tank that holds the ink. So, in either system the nozzles can become clogged with dried ink usually from not using that print head enough. Leaving an inkjet printer sit to long without using it is deadly, the ink will dry in these nozzles. Is there a way to prevent this? Well, an engineering team from the University of Missouri have devised a clog-preventing inkjet nozzle by taking inspiration from the human eye, no kidding. I love this kind of thinking. As a film of oil keeps a thin layer of tears from evaporating from the eye, the devised nozzle uses a droplet of silicone oil to cover the nozzle opening when not in use. Because the inkjet nozzles are so small and the area that these nozzles are found is in a very restrictive area trying to duplicate the motion of an eyelid moving across the nozzles was out of the questions. What they did was move the oil across the nozzles by an electric field. Jae Wan Kwon, one of the members of the team put it this way, “The nozzle cover we invented was inspired by the human eye. The eye and an inkjet nozzle have a common problem: they must not be allowed to dry out, while simultaneously, they must open. We used biomimicry, the imitation of nature, to solve human problems.” Most inkjet printer’s will attempt to clear the clogged nozzles by forcing a burst of ink through the nozzles, this is costly and wasteful. Basically the expensive ink that you pay for is used as a cleaning solution! And this method of clearing the nozzles uses a lot ink, think about it, you pay top dollar for your ink cartridges and then they use it as a cleaning solution to clear dried inkjet nozzles, Jae thought, they must be a better way! You may be wondering why the company’s that make these inkjet cartridges did not think of this or at least hire a team to look into it. the answer is simple, greed again. Epson is notorious for using massive amounts of ink to clear their print heads. It seems unless you are constantly using an Epson printer the print heads are prone to clogging. I’ve had many customers come in to buy a full set of cartridges in an attempt to clear clogged Epson print heads just to come back the next day and tell me that they went through all of the ink trying to clear the head’s! Of course now they have to buy more ink just so that they can print, win win for Epson. If the procedure did not work they now have to make a decision, buy more ink to try again or just say the hell with it, throw the printer away and buy another one. Not very ecologically sound to say the least. If the technology that Jae is working on works I wonder what the chances are the major printer manufactures will embrace it? My bet is they won’t want anything to do with it, why would they. In the case of non-print head cartridges that uses a system like Epson they would look at it like they would lose money, why help to keep the nozzles open when if they clog they get to sell more ink. In the case of the print head cartridge, there really is no way to clear and open the nozzles, once they are clogged by dry ink, the only real choice is to throw them away and buy new ones, this is a money maker for the large printer manufactures that produce there own cartridges. Only time will tell if this technology makes it to the general public, who knows maybe the big boys will get a change of heart, maybe they will actually care about the end consumer instead of just profits and do something that will really help them to save money. Oh yea and don’t forget that it would help the environment in that all of the ink would actually be used in these machines which would keep them from the landfill longer. Let’s see what happens. We would love to hear your comments on this subject. Can’t find Aftermarket Cartridges For Your New Printer? If you like the idea of using aftermarket or re-manufactured ink or toner cartridges in your printer and have been doing so for years, there’s nothing more frustrating than buying a new printer and finding out there are no aftermarket supplies for it yet. Why is that? The answer is pretty simple, greed on the part of the major printer manufactures. Here’s what happens, each year the printer manufactures need to come up with new models to please the masses, this in and of itself is good and it’s how business is done. Consumers want bigger and better, it’s just the way we are. All of the big players in this field like HP, Canon, Epson and Brother make huge profits on selling the ink and toner for their machines, that’s no secret. They want to keep that market all to themselves they will sell some printers at a loss or break even knowing that once you have their printer you are now locked into buying their ink, period. The one place that they can lose market share is through the re-manufacturing industry so they have to try and find way’s to disrupt the flow of aftermarket ink and toner cartridges. The best way for them to do this is by inventing new cartridges, chips, software and ink that their new printers will use. OK, so you ask how would this disrupt the re-manufacturing industry, simply, we now have to reverse engineer these cartridges before we can re-manufacture them and they know that. This presents a slew of decisions and problems that we the re-manufacturing industry have to solve before you the consumer ever see a re-manufactured cartridge on the shelve. The first is will the printer be a hit or a bust? Imagine if we spent hundreds of hours on reverse engineering cartridges for a new printer, creating the inks, collected enough empties to start production and then find out the public just did not like the product and decided not to buy. All of that time and money is wasted. So one of the holdups for us is keeping an eye on who the winners will be and who will be the losers, this takes time. Next, the ink or toner that many of these new models use has just been formulated so they to have to be reverse engineered in such a way that they meet all of the specifications of the original without infringing on any patents held by the parent company. Again before spending thousands and thousands of dollars we need to be certain that there will be enough demand for those particular cartridges. Once we know that, the ink manufactures will figure out the formulation and start mass producing the ink and get it over to the manufacturers. But even with all of these hurdles, believe it or not the most critical part of this puzzle is getting our hands on enough empties to meet the demand. The OEM (Original Equipment Manufactures) know this and know that this is the weak link in the process. If they can stop or curtail the supply the re-manufacturing industry would grind to a standstill. So what have the OEM’s done? They have implemented all sorts of programs and legal barriers to prevent or make it very difficult for us to get the empties we need! They are basically trying to strangle us by preventing us from getting the raw materials we need, and I thought we lived in a free enterprise system. HP has made a global effort to remove as many empties from the marketplace under the guise of recycling. Since they started this campaign they have been very successful in keeping millions of cartridges from being re-manufactured. Now the difference between recycling and re-manufacturing is huge. What HP has done is built a huge facility that uses tremendous amounts of energy breaking these cartridges down into their different components with some being used in the production of cartridges but most just being melted down to make something else. It has been proven that re-manufacturing uses much less energy than what HP is doing. Also by re-manufacturing the product is being reused for it’s intended purpose which saves time, money and resources. HP should be ashamed of how they are deceiving the public. If they really wanted to help our environment, they would collect there own cartridges and re-manufacture them and sell them back to the public at a reduced price. We all know that will never happen. Lexmark has brought to court and won on a little known law about how and when someone can use a printer cartridge for re-manufacture. In a nutshell any manufacturer can use a toner that has been used once in the United States as raw material for production. But if the same toner was used once offshore he can’t use it and could face huge fines by Lexmark, you can read about it here. Our industry collects empties from around the world that feeds our industry and then in turn pass on the savings to the end user, you the consumer. The only reason Lexmark dragged this law out of the closet is they are desperate and need to find and use any and all means available to them to try and stop us. The sad part about this whole story is that the courts are backing them up. To add insult to injury, Lexmark is asking that the offending parties buying the empty cartridge pay what the cost of the toner would have sold for here in the United States in a retail store! Here’s what that means, let’s say a toner sold for $150 in Staples. The re-manufacturer has been paying $3 for that empty cartridge, then he has to put it though the process of re-manufacturing and then sell it for a profit. The middle man gets it and then sells it to the retail operation to sell to the consumer at a reduced price compared to the original, let’s say for this example it would sell for $99.99.By Lexmark asking that the re-manufacturer pay the OEM price of $150, he just put that person out of business. This is free enterprise? Laws like this should be removed from the books or modified for modern times, this is insane. Our government talks about creating jobs and then we see this type of behavior. Epson has sued and won using basically the same strategies, US business’s can only use empties that are acquired in the United States. Again the only reason businesses would do something like this is they are very concerned about the inroads we as an industry are making. We are taking market share and they don’t like it, but as the old saying goes, if you can’t stand the heat, get the hell out of the kitchen. Using these tactics will in the end backfire and not work. The consumer has spoken and they are saying they are sick and tired of paying so much for printer cartridges. We are listening as should the OEM’s. They know our products work and if they had any sense they would jump on the band wagon and re-manufacturer their own cartridges and make some money off of them in stead of just shredding them or spending millions of dollars on legal cost trying to prevent our industry from providing the consumer with an alternative. We at Ink & Toner Solutions keep a list of ink jets and toners that are in R&D. As our customers ask for these items we explain to them the process and then put them on a list so we can inform them as soon as their cartridge model comes on line. Our customers like the savings but more importantly they understand that they are also doing their part in helping save our planet by using recycled products. Hell if you can spend less money, get the same quality as the original product and help to recycle at the same time, why would’t you do it? We would love to hear your comments on this situation. Have you run into this before? Did you find a solution? Click The Link Below To See If We Carry The Cartridges You Need. If You Don’t See What Your Looking For Contact Us. Can My Ink Jet Cartridge Dry Out? Question – What if I neglect my ink jet printer for long periods, will it affect the print quality? What Photo Paper Should I Use? 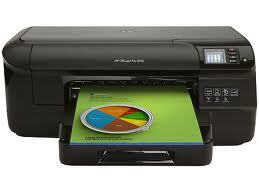 Is the HP Officejet Pro 8100 as good as a laser printer? Can an Ink Cartridge explode in your printer? 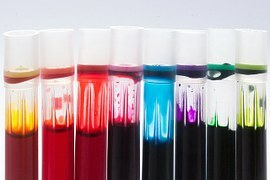 What is the Quality of refilled Ink and Toner Cartridges?